If foot orthoses are considered necessary, a comprehensive understanding of your foot function will be required. This may be done by examining your foot, including the range of motion of your foot joints, the strength of the muscles in your feet, and the position of the bones in your feet when you stand. Your walking pattern will be assessed in detail (on a flat surface or by repeating the activity that triggers your pain). You may need to visit your podiatrist after your orthoses are fitted to make sure they are working properly. In some cases, small adjustments to the shoe inserts are needed. Your podiatrist will devise an ongoing treatment plan to help you manage your foot problems in the long term. Can’t I just buy orthotics from the pharmacy or sports store? Orthotics that are purchased over the counter are generic in nature. This means they have a “one size fits all” design. If you have a specific injury with an underlying foot mechanical problem a custom orthotic will give you the best result to manage your complaint. Getting you back on your feet, pain free and into your activities as quickly as possible is our goal! 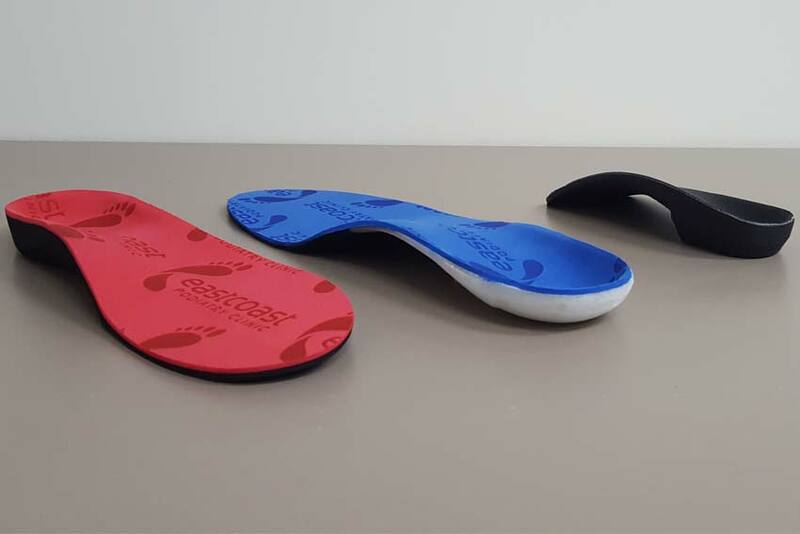 Foot orthoses or orthotic devices are custom designed shoe inserts that help support the feet, improve foot posture and treat various disorders of the feet, ankles, legs and lower back. A podiatrist can help make and fit foot orthoses. At East Coast Podiatry Clinic our podiatrist utilize the latest CADCAM orthotic technology. CAD/CAM Orthotics stands for Computer Aided Designed and Computer Aided Manufactured Orthotics. 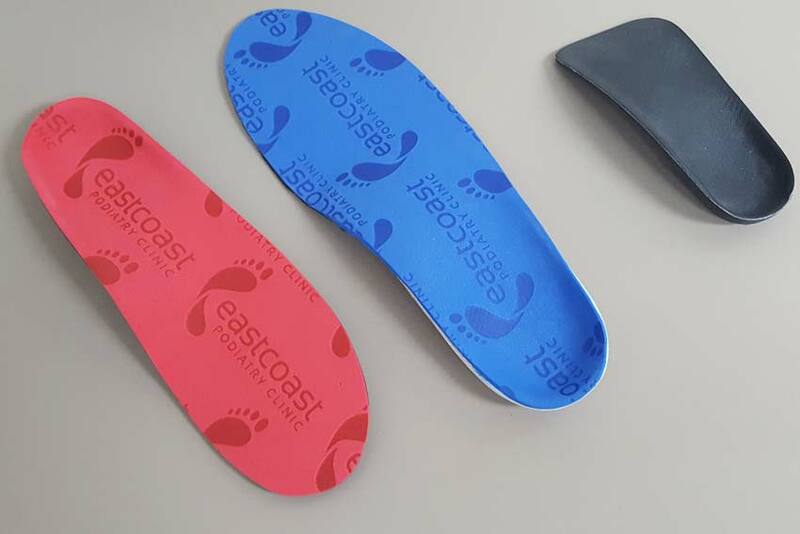 East Coast Podiatry Clinic uses the most advanced CAD/CAM technologies to produce state of the art custom made orthoses.